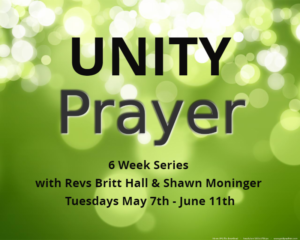 Join Revs Britt & Shawn for this in depth 6 week series focusing on Prayer – the Unity way. Rev. 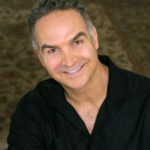 Britt Hall is Unity of New York’s Spiritual Leader, Music Minister and co-founder. He is credentialed as a Licensed Unity Minister and an ordained Interfaith/Interspiritual Minister and is currently part of the Unity Worldwide Ministries Field Path program towards Unity ordination. 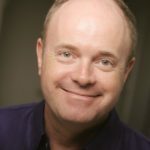 Britt is revered as a leader in the New Thought/Unity Worldwide community and has shared his voice and insights around the country as speaker, vocalist, musician, retreat facilitator and workshop presenter. Britt is a leader of the annual Unity Worldwide Ministries international conventions production team. We are grateful for and blessed by Britt’s many gifts and leadership at Unity of New York. Rev. Shawn Moninger has been the Sr. Minister at Unity Center of Norwalk since September 2004. He is the founding Board President here at UNY. Rev Shawn began his spiritual journey in earnest in 1997 after a successful career as an award-winning ighting and sound designer in NYC nightclubs. (Becoming a minister was the only thing left to do after that.) Rev. Shawn and his partner David Friedman are in high demand as speakers in the New Thought and Unity movements. They travel extensively speaking at prominent events such as the International New Thought Alliance Conference, Unity Conference, retreats and leading churches throughout the country. Shawn’s mission in life, and in his ministry, is for everyone on planet Earth (including himself) to KNOW that he or she is Good. It is a simple task and a powerful journey. Rev. Shawn is happy to be back in his newest role at Unity of NY as Staff Minister.